Behind the scenes lots of work has been going into organising the first and only full-day TeachMeet for Geography teachers by Geography teachers. I’m so excited with what we are putting together for you. We’ve 2 great key note speakers, one is Alan Parkinson (@GeoBlogs), the second we are yet to announce. The next big piece of news is why I’m writing this post. We are finally ready to go live with our #TMGeographyIcons website. On the site you will find key information including bios of our speakers and TeachMeet presenters, location details and all of our upcoming news. 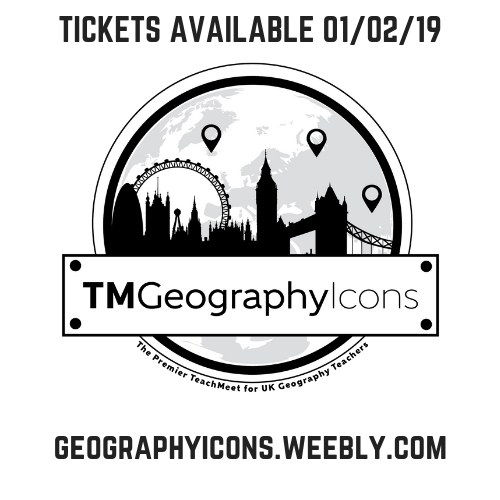 There’s plenty to look forward to, so make sure you bookmark the first #TMGeographyIcons website. You can also keep up-to-date with any announcements by following us on Twitter. Hope to meet many of you on Saturday 23rd June. Categories: Teach Meet | Tags: TMGeogIcons | Permalink. This coming weekend I have the pleasure of presenting at #TMHistoryIcons again for the second year running. Last year’s conference was my first time presenting in front of other teachers and educators and it was insanely nerve wracking. Since then I’ve had more experience having led and presented at several teach meets and education conferences so hopefully the disco leg of nerves won’t be in attendance as well. I can’t wait. Last year was incredibly exciting, so many ideas and lots of inspiration for both my history and geography teaching. Highlight last year was watching and meeting Russel Tarr, who totally lived up to expectations. This year is just as exciting with Scott Allsop as the key note speaker. I love his ideas from last year and look forward to hearing him this year. Last year I presented on ways of developing independence in the Humanities classroom. This year I still haven’t confirmed what I’ll be presenting on…. starters and plenaries? marking and feedback? learning activities? Ahhhh I don’t know, maybe I should get on with it. Maybe you could help me out and tell me what you would want to see? Suggestions welcomed. I look forward to seeing lots of familiar and new faces. For more information on #TMHistoryIcons head over the website http://onlinehistorytutor.wixsite.com/tmhistoryicons2017. Categories: T&L, Teach Meet | Tags: TeachMeet | Permalink. July 2016, over 40 teachers of geography turned up at Skinners’ School, Tunbridge Wells to discuss teaching geography. For me, it was one of the highlights of Term 6. Guess what, it’s happening again in February (just days after my birthday). This time we’ll be focusing on fieldwork within the new GCSE and A-level specifications. To start with there will be 45 minutes of presentations from geographers and educators, followed by a 45 minutes breakout session before 15 minutes of so of networking. During the breakout sessions, teachers will split into groups based upon the GCSE or A-level specs they are teaching. Experiences, good practice and ideas will be shared. Finally we might make our way to the local bar for a bit of social networking. If you’re located in the South of England, Kent, East Sussex, Surrey, South London or South Essex feel free to head over to the Geographers in the Weald site to find out more and to sign up. Categories: Teach Meet | Tags: Geography | Permalink. 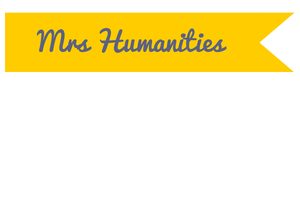 This is several months late, but here’s my presentation from #TMHistoryIcons. In my presentation I outlined some of the ways I’ve been working on developing independence in my classroom. It was an absolute pleasure to present amongst so many excellent practitioners, can’t wait until next year. Categories: Independent Learners, Teach Meet | Tags: Classroom Resources, independent learning | Permalink. Wednesday 1st April – The day I found my love for education all over again! The day started with the usual overly excited students that always arrive on the last day of term. I handed out my Easter tutor gifts and taught normal lessons for the day. By the time lunch arrived I felt like one of the overly excited kids I’d greeted in the morning; not because it was the end of term but because I was going to my first Teach Meet, which just happened to be Teach Meet London. All over the Christmas break I’d been looking up these CPD opportunities and hoped there would be something near by soon. Soon enough the London event was announced and I knew I had to attend. The first morning the tickets were released I happened to be on the computer lesson planning and bagged a ticket immediately. Boom! I was happy. Then the event arrived and it blew me away. Whilst I had high expectations, they were far exceeded. As soon as you walked through the school doors you were greeted by the most incredibly polite and enthusiastic students I think I may have ever come across. Each one spoke to you like a teacher at their own school and demonstrated high levels of professionalism in their role. Whilst the students helped make the event incredible it was what came next that made it, the presentations from other professionals. The presentations were fantastic, one inspiring professional after another. Each from a variety of settings and employers, bringing their ‘something to inspire’ to the podium. There were an array from Headteachers to NQTs, from HMI Lead Inspectors to Education Guest Speakers. Each with something different for you to take away. There were too many great presentations to nail down which were my favourites, most inspiring, most interesting etc. etc. so I’ll share three quotes that stood out to me instead. First one came from Mary Myatt, a HMI Lead Inspector. “Please remember that there is no such thing as no life outside school. It is so important that we are human beings first and professionals second”. This has been one of my struggles throughout my teaching career so far, achieving that work/life balance. In the last term after having to work 3 weeks straight to get everything done whilst clocking in over 90 hours each week I almost walked out of teaching forever. Even got to the point where I walked into the Heads office with my notice. I love teaching to much to throw it away but I must remember this quote and keep up with my Teacher 5 a day promises for the my sake and my students. You just can’t teach effectively if your falling apart. This quote about there not being a one size fits all solution to the issues in the classroom reminded me of my feelings towards the relationship between so called low level disruption and SEN. So many main stream schools have swathes of students that self-regulate their sensory needs through actions that are classified as low level disruption by OFSTED criteria. Thus meaning that some teachers during an inspection would be identified as potentially ineffective at behaviour management because their pupils NEED to regulate their alertness before they descend into a storm of dys-regulation and then onto negative behaviour. Yes low level disruption can hinder progress but for some students it’s the means to an ends, without it they couldn’t concentrate and a class of robots isn’t the solution in my eyes. Each student in my classroom is treated as an individual, their needs are being met to ensure their progress and enjoyment of their learning whether it suits the criteria of the big O or not. This one struck a cord in relation to observation feedback I received once. Pupils were in FLOW and highly engaged in the mystery task, I questioned individuals and groups as planned. But in the feedback was told I should have stopped the class and questioned them all. I nodded politely but inside was shouting “NOOOOOOO, they were in FLOW!!!”. Wish I had the confidence to say something at the time. Next time I will remember this quote from Mary and WILL speak up. Can I really be at a CPD event with this many smiling people? It must be the #TMLondon. Everyone wanted to be there. It had been our decision to attend. We were taking control of our CPD and it works. I got out of it what I wanted plus way more. In addition going alone meant I spoke to people I didn’t know, a bit of a challenge for such an introvert but I loved it. Now I can’t wait to go to another. I’m even considering presenting at the next Teach Meet Brighton providing I can get out of the internal CPD session that evening. I’ve never been to a CPD session or event where I felt so engaged, not just because of the prizes, the people and the presentations but because I wanted to be there and everything was relevant. Throughout my NQT I went to session after session, the majority of which I found relatively useless because I researched what I needed when I needed it. When I was having a problem with behaviour in my first term, I didn’t want to wait until the 2nd term to find out how to deal with it. I spoke to others, I read books, looked up tips on the internet. This is the benefit of Twitter, blogging and Teach Meets, you are in control of your CPD; it’s what you want, when you want it. The event was a credit to Quintin Kynaston, @TeacherToolkit @ASTSupportAAli @ICTEvangelist @iTeachRE @ICTMagic & @DiLeed, all of the presenters and everyone else involved in the organisation of the event. Before going it was suggested planning one for our school…. now where do I start? 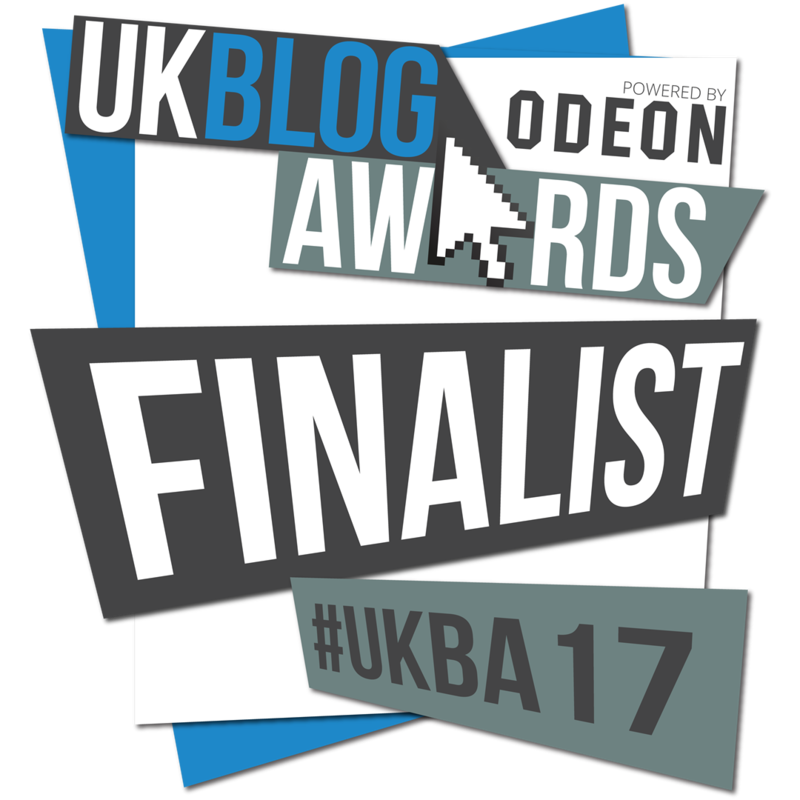 Categories: Teach Meet, Wellbeing | Tags: Wellbeing | Permalink.